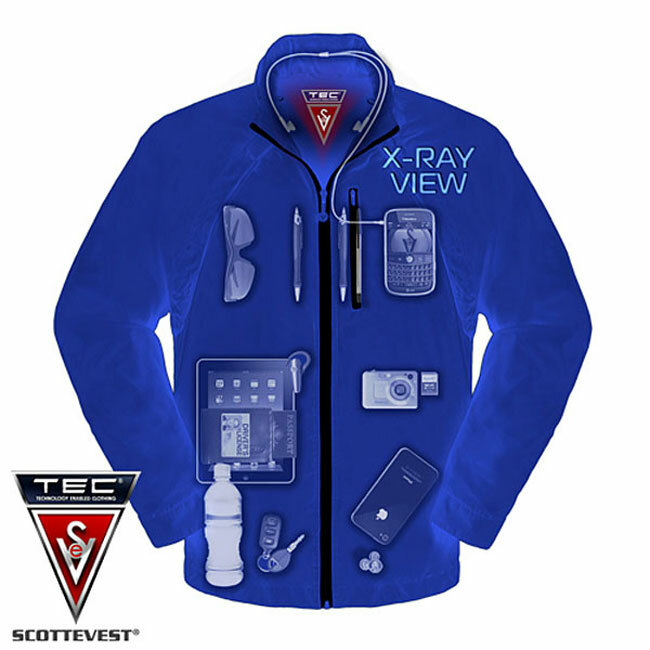 Scottevest is a company that has been around for a long time making jackets that are designed to hold an incredible amount of electronics and other items inside. The company has teamed up with ThinkGeek to unveil a new jacket aimed at geeky travelers called the Tropiformer. The jacket has sleeves that are held on by magnets so you can convert it to a vest in warmer climates. The jacket has 22 different pockets size to fit just about anything you can think of from smartphones to tablets and cameras inside. The pocket specifically designed for your smartphone has a clear covering on the inside allowing you to operate the phone without removing it from the jacket. The jacket is also equipped with a large pocket to hold a tablet and numerous other pockets. The Tropiformer costs $149.99 and is available in four different colors. The jacket material is also waterproof to protect your gadgets if you get caught in the rain.